We're sorry, reservation times are not available online for a party of this size on the selected day. Please call us at 713-521-2239 and we will see if we can accommodate your party. 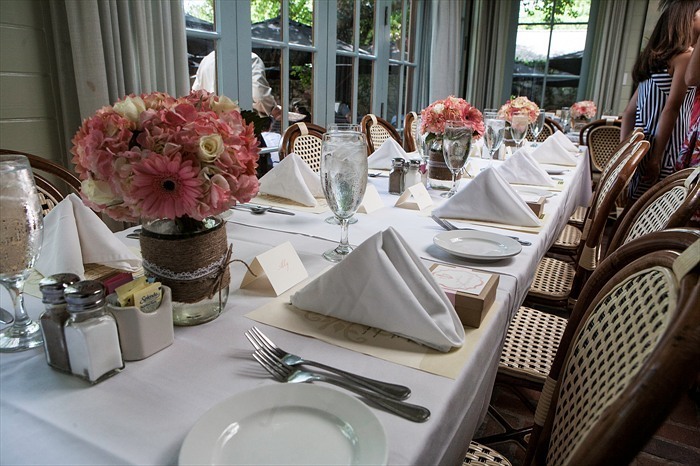 For parties greater than 8, please contact us at 713-521-2239 for assistance with your reservation. Please be sure to include your Guest Type (required by Backstreet Cafe). Newsletter: By selecting any of the following options, you agree to receive communications from Backstreet Cafe. We do not share your information with any 3rd parties. You can withdraw your consent at any time. All refunds require 24-hour notice. Stay personally connected to Backstreet Cafe with your free preferences profile. You'll have convenient access to Backstreet Cafe's news, promos and special events! And Backstreet Cafe can get to know you better with automated communication. A relaxing al fresco American Bistro serving high quality New American Bistro fare emphasizing seasonality complemented by gracious knowledgeable service and an adventurous and innovative wine and spirits program. Chef Hugo Ortega's house specialties include Duck Spring Rolls, Gulf Coast Seafood Gumbo, Fried Green Tomato Salad, Pecan-Crusted Chicken, Crispy Pan Seared Duck, Coffee-crusted Tenderloin, Grilled Pork Chop Paillard, Shrimp and Stone Ground Cheese Grits, Meatloaf Tower, Red Corn Enchiladas, and so much more. Nationally acclaimed Sommelier, Sean Beck heads Backstreet Cafe innovative wine and spirits program.